Music gives soul to the universe, wings to the mind, flight to the imagination, and charm and gaiety to life and to everything. Rhythm and melody is the bread and butter of music. Percussion instruments which keep the rhythm, make special sounds and add excitement and color is a part of any orchestra. Cajon is such a percussion instrument which is widely used now a days in orchestra. CAJON (Pronounced as Ka-Hon) is a box-shaped instrument with its roots in Peru. It is played with bare hand by the player sitting on it. 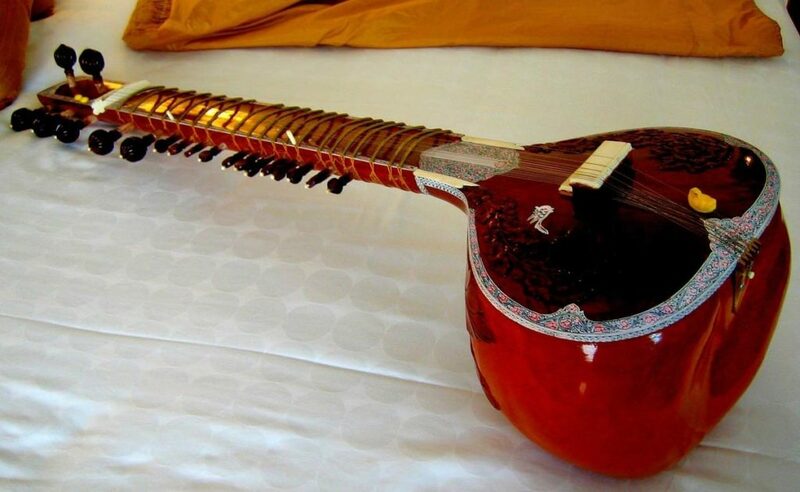 Slapping the striking surface called ‘Tapa’ made of thin plywood with hands & fingers create beautiful sound. Mario Cortes, Mike Meadows, Nina Rodriguez, and Stephan Maass are the well known Cajon players globally. In the 16th century, African slaves made these instruments from old packing crates and use them to replace the native drums of Africa. Also in Cuba, cajon drums were made from household box type structures and used to accompany Cuban and Latino Styles of music. The word Cajon actually means box, or drawer in Spanish. 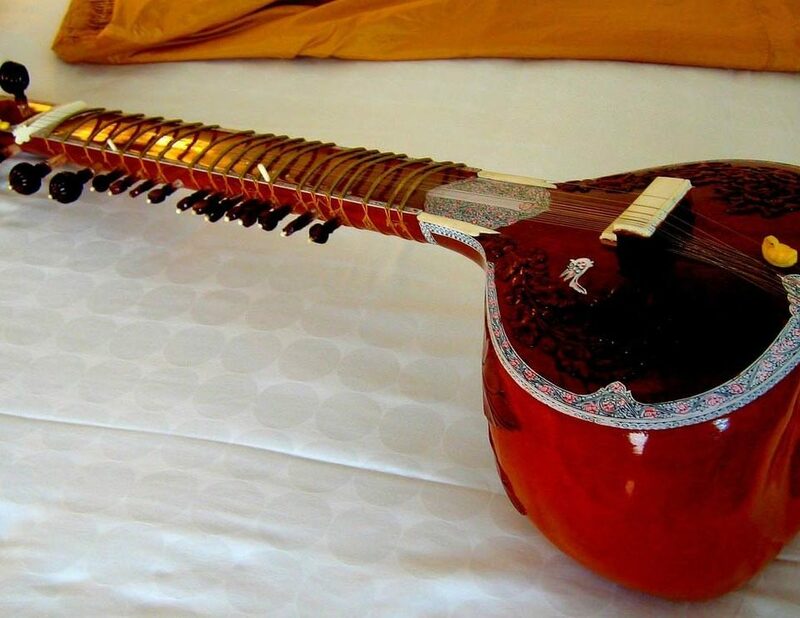 It is found as a major player in Spanish Flamenco music. Cajon is a box made of thick plywood on 5 sides and one side made of thin plywood which forms the striking surface, ‘Tapa’. A sound hole is cut on the back where we place the microphone to capture the voice. 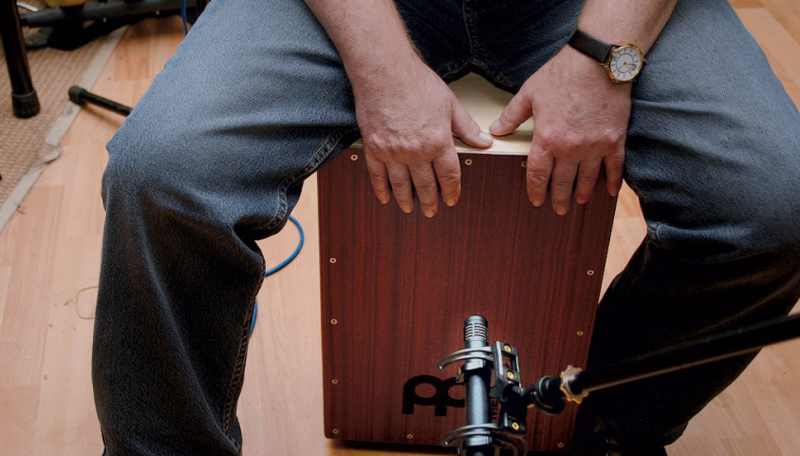 Over the years the cajon has developed and people started making additions to the original box drum. The addition of internal wires to giving a snare sound added another dimension to the instrument and many different snare systems have developed since. 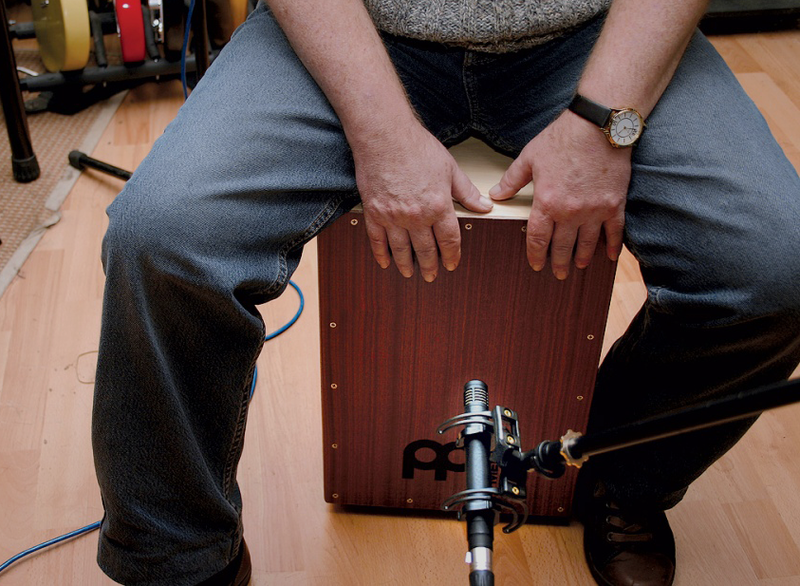 The versatility, simple construction and ease of playing has now brought the cajon into an even wider range of music and many styles of playing have developed. Modern cajons feature adjustable snare sounds, adjustable bass dampening and some drums even have pickups installed for easy amplification. The spirit of the cajon is the spirit of music. Such a simple and effective instrument allows anyone to start banging out a simple beat and easily build up to more complex patterns. 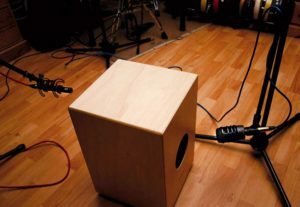 If you’re in the studio and are miking only the cajon, a single, distant mic (a full-range capacitor will usually be best) is serve the function to capture its natural sound. When on stage, experts suggests that you really want to mic both the back and the front of the Cajon. This will enable you to capture the wide frequency range that the instrument produces. 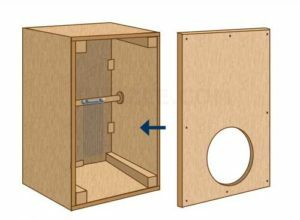 Place a microphone (a cardioid capacitor mic serves perfectly well) about a foot from the from the front of the cajon (so that player’s hand is not obstructed) and a bass drum mic in the sound hole to catch the depth. To avoid the result being too boomy, adjusting the mic so that it points towards the hole from one side at an angle of around 45 degrees, and placing around 20cm away from the box can be considered. Adding the sub kick will give the cajon an immense amount of extra beef.